New to CCSD Families- Information to Come! The Clark County School District provides necessary supplies for all students in order to meet their educational needs. However, we know that sometimes parents choose to buy school supplies for their child. The items listed would be appropriate for students in grades K-5. Starting Monday, April 8, 2019 parents can start the online registration process from home. 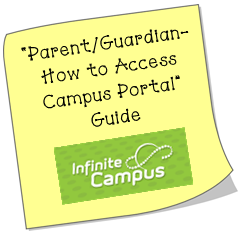 Simply log on to the Infinite Campus Portal and access your Parent Portal Account. Complete all tabs for each child attending Wallin E.S. Prior to hitting the “Submit” button, click on “Application Summary PDF” to print a summary of information you inputted. This document will also show you have completed the Online Registration. Click below to access two (2) forms you can fill out at home, print and bring with you to Phase 2 – Address Verification. The two forms are: 1) Health Information Form, and 2) How My Child Will Go Home on the First Day of School. Please print these forms at home, fill them out, and submit them with your Proof of Residency during Phase 2. Doing this at home will save you time at school during the registration process. Starting Wednesday, April 24, 2019, once you have completed the Online Registration, bring the print out mentioned above and one proof of residency. One proof of residency can be: 1. Either a lease agreement or mortgage statement and 2. A utility bill such as electric, water, or gas. Cable or phone will not be accepted. If you do not have the print out mentioned above, you will need to wait in line so your online registration can be verified. Families with returning students (Kindergartners included) may register starting Wednesday, April 24, 2019 from 7:00-10:00 a.m. in the Office. 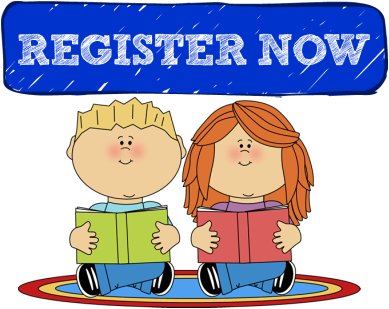 Families new to Wallin & Kinder students may register starting Friday, April 26, 20198 at 7:00 -10:00 a.m. in the Office. After April 26th, Registration office hours will be 8:30 a.m. to 11:00 p.m. Monday through Friday. The process of assigning students to classes is a complex one that begins with the school division allocating teaching staff based on projections of student numbers for August. It then becomes the task of the school administrators, with the advice and recommendations of the staff, to organize students into classrooms. In doing this, we must work at balancing student and program needs throughout the school within the limits of school division policy concerning class sizes. The process of making up classes for each school year is based on the best information available at that time. Our goal is to come up with a placement for each child which will offer that child the greatest chance of success. Teacher requests will not be taken, but you can submit a letter describing your child’s learning style. Class placements for the 2019-2020 school year will be sent home at the end of July. Click above for Infinite Campus Mobile App Information.